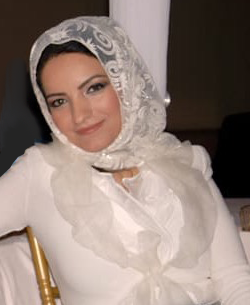 Banan Abutair, who is an honor graduate of Salford University of England in Computer Science and Information Systems, is the founder of the Group, and is one of a few ladies whose motivated style has given her the ability to embark ambitiously to pursue and realize a dream. She exhibits a much sought-after key characteristic of a resilient Arab woman of industry; “toughing it out” in the aggressively competitive male dominated world of Saudi Arabia. Further and significantly, as founder of the group and one of a new breed of ambitious business-minded ladies in the Kingdom, with an ability to generate and initiate business ideas of her own, she has successfully nurtured these aims. As a talented business woman, she reflects her own style of management via her strong personality, self-confidence, and creative inspiration on her group. She is able to gauge, through knowledge of both business processes and the needs of the marketplace, the expectations of the market and has ideas about the tools and needs of the IT, Human resources and Technology industry, specifically relevant to Saudi Arabia. Banan’s knowledge stems from her entrepreneurial spirit, and has been a key factor in the steady growth and success of the Group, its people, and its clients. Noteworthy statements to the organization reflect her visionary leadership, longstanding commitment, and passion for entrepreneurial endeavor. She is known for balancing long-term vision and in setting and achieving her target goals. Banan has been recognized for her strong analytical ability, strategic thinking and remarkable achievements. She always brings creativity into leadership which had led to the success of her business. Let’s talk about how we can help your business!